Sometimes called natural or woodland burial, is the increasingly popular, environmentally sound alternative to the traditional cemetery. Green burial sites often serve a conservation purpose and are not usually visually definable as a burial ground because they respect the natural appearance of the land. All materials used in green burials, such as coffins and shrouds, are natural and sustainable to reduce the environmental impact to the land and surrounding environment. Those who opt for a green burial often do so because they feel they are giving something back to the earth. Green Burial also offers the ultimate in flexibility and control to those organising a funeral. Some choose to employ the services of a funeral director, while others prefer a greater level of personal involvement which adds a therapeutic element to the grieving process and can ensure significant cost savings. An excellent range of advice and information on green burial. Binning Memorial Wood are members of this association. 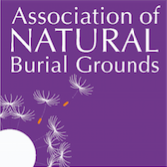 They provide an invaluable source of information and independent advice on green burial. 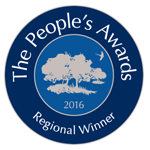 Our burial grounds are carefully managed to ensure they provide a woodland sanctuary and a thriving nature reserve for generations to come. Ground maintenance is carried out sensitively and the absence of fences ensure the wood retains its natural appearance. The burial process respects both the deceased and the surroundings, so caskets and coffins are made from bio-degradable materials to minimise any environmental impact. Most people choose a small inscribed stone to mark an interment, although you don’t have to. Our staff are on hand to provide you with support and guidance from your very first contact with us. Death and grief don’t fit into office hours and we make ourselves available whenever you need us. We are here to help make your service as personal as possible. You can choose to be as hands on or off as you want in the arrangement of the service. We work with excellent funeral directors who can take care of everything for you, or you can do it yourself with as much or as little support from us as you need. We support religious and non-religious ceremonies. We also accommodate burials of cremated ashes. You can select an area of the wood for your resting place, either as an individual or a couple and specific glades can be reserved for families. The very personal and sensitive way that Sarah helped us was extremely helpful at this difficult time.